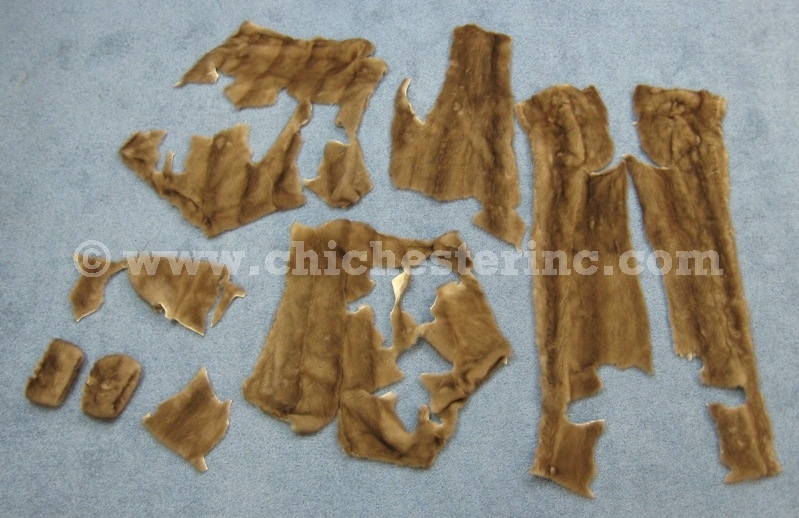 The mink scrap is sold by the pound. All of our mink scrap is mahogany. Please call for availability if you want particular pieces. R-28-SCRAP Mink Scrap US$85.00 / lb. Genus and species: Neovison vison. Please click HERE to go to our main Mink page.